Financial Planning is the base of Legacy Financial's platform. We focus on income, investment, education and tax planning for retirees, semi-retirees and those actively preparing for a more productive retirement yet to come. Every firm applies a different method to this process, and our philosophy is based on a conservative, consistent and calculated approach. Analyze your current situation: Define your short and long-term goals to see what you are looking to do differently, both now and in the future. When researching your options, educate yourself on your needs and match them against the services of the planners you are considering. 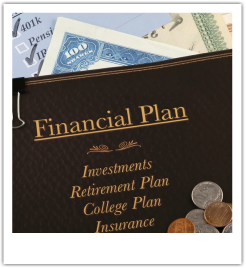 Identify what you are looking for in a planner: It is important to keep in mind that you will be working with your financial planner throughout your life. Identify your personal preferences to ensure that your planner is aligned with your needs and preferences. Do your homework: Today there are many companies to choose from, but how do you know which one to pick? Call for information, attend a seminar or workshop, or set up an appointment to meet directly. At Legacy Financial, our team of professionals is here to build a relationship that will help set your goals in motion. We want to strengthen your understanding of your retirement needs and options by sharing our vast industry knowledge. We also work to provide timely and considerate attention to every client with high levels of customer service to show you how much being your planner means to us. We invite you to learn more about our company by calling us today. You can schedule an introductory meeting or sign up for an upcoming seminar.